Dr. Ballen received her Doctor of Medicine from Eastern Virginia Medical School in Norfolk, VA. She has practiced medicine in the state of Colorado since 2003, completing both her General Psychiatry Residency and Child and Adolescent Psychiatry Fellowship at the University of Colorado Health Sciences Center. For the past eight years, Dr. Ballen has been in Private Practice, caring for adults as well as children and adolescents. She specializes in treating a wide range of disorders including anxiety, depression, bipolar disorder, ADHD, OCD, PTSD, and addiction. Dr. Ballen’s integrative approach to medicine combines conventional therapy and medication management with holistic alternatives. She prides herself on investigating and addressing the root cause of symptoms, as opposed to just treating the symptoms themselves. Dr. Ballen’s clinical expertise and her specialty in intravenous treatments enable her to formulate comprehensive treatment plans for each individual patient that goes above and beyond traditional treatment methods. She strives to provide her patients with compassionate care in a warm and nurturing environment where healing can begin and well-being can flourish. Kelley came to be a therapist a little later in life than some, receiving her master’s degree in psychology and counseling from Leslie University at the age of 49. 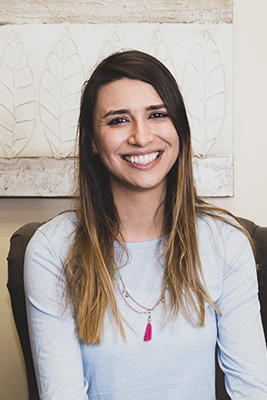 She’s thrilled to be part of our center as our addiction specialist, but equally proud to be our oldest therapist, finding that her life experiences are an asset to many clients experiencing life challenges and transitions of their own. Kelley’s worked in the trenches of the opioid epidemic since 2009, when it first inundated the East Coast, and she’s honored to be able to share her knowledge and experience with clients and their families here in Colorado. One of the most gratifying parts of her work is becoming part of a client’s journey of healing, knowing firsthand how psychotherapy, compassion, and unconditional positive support can support the resilience of the human spirit that’s already inside of us. Kelley loves hiking and exploring her new state with her dog Sadie, as well as spending time with her daughter who’s currently in school to become a therapist herself. Two books that Kelley often recommends to clients are The Gifts of Imperfection by Brené Brown and What Addicts Know by Christopher Kennedy Lawford. 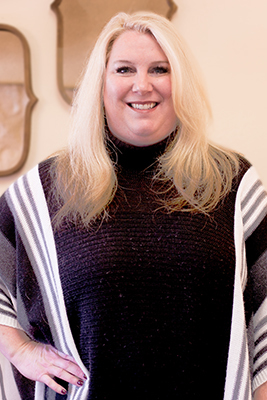 Leslie is a Family Psychiatric Nurse Practitioner certified by the American Nurses Credentialing Center. She has over 15 years of experience in healthcare, including 9 years of adult and adolescent inpatient and outpatient care. Her interest in Mental Health began in the US Army Reserves working as a Mental Health Specialist. She graduated from Wright State University with a Bachelor of Science in Nursing, later attaining her Masters of Science in Nursing from the University of Cincinnati. Her personal treatment approach incorporates both traditional and integrative medication management and aims to improve her patient’s overall quality of life while minimizing medication intervention when possible. 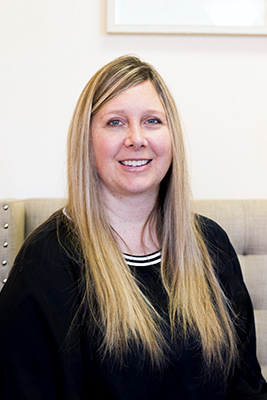 Leslie has been a member of the Ballen Medical & Wellness team since 2013, and is licensed to prescribe Suboxone and Sublocade for opioid addiction, as well as Naltrexone and Vivitrol for alcohol and opioid dependence. Deede is passionate about helping others reach their full potential in a warm and accepting space. She has years of experience assisting clients with anxiety and depression as well as marital and family issues. Deede partners with her clients to overcome their struggles while fostering healthy coping skills and personal growth. 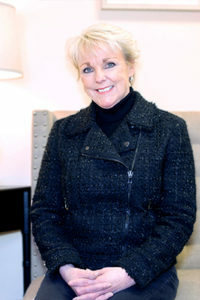 Her approach includes lending various therapeutic techniques (such as Cognitive Behavioral Therapy and Dialectical Behavioral Therapy) to develop a treatment strategy that best fits each client’s unique needs. Deede received her Masters in clinical and humanistic psychology from the Michigan School of Professional Psychology in 2005. Additionally, she earned her post graduate degree in couples and family therapy from Oakland University in Michigan in 2008. Deede has also attended numerous training conferences with Dr. David Burns, Dr. Marsha Linehan, John Bradshaw and other masters in the field of psychology and recovery. Sarah brings a highly integrative approach to art therapy, incorporating Cognitive Behavioral Therapy (CBT), Dialectical Behavioral Therapy (DBT), Acceptance and Commitment Therapy (ACT), and Family Based Treatment (FBT) in her practice. In addition to Sarah’s warm, compassionate work with adults and families, she has unique experience working with children and adolescents with eating disorders, anxiety, and various other mental health challenges. She’s has also helped at-risk high school students and women who’ve been homeless or incarcerated due to mental illness. Sarah’s own artwork received First place at the LAEA art show in 2005, and has appeared in Expressions literary magazine as well as numerous art shows. She was a recipient of the Robert Rauschenberg Scholarship in 2006 and the Paul C. & Harriet Franklin Scholarship in 2010. Sarah received her Master’s degree from Albertus Magnus College’s Master of Arts Therapy program in Connecticut, and her BFA from the University of Florida. In addition to individual, couples and family therapy, Taylor runs our Relapse Prevention group therapy session on Thursday evenings. Taylor holds a Master’s degree in couple’s, marriage, and family counseling, and has a background that includes addiction rehabilitation work. In addition to his work alongside our veteran addiction counselor Kelley Brown, Taylor has an additional interest in the effects of fitness and nutrition on mental health. 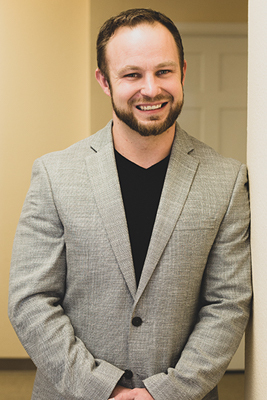 A former kickboxing trainer, Taylor loves to snowboard, exercise, and sing when he’s not helping clients. He grew up in Longmont, CO, with a loving and nuclear family, but understands the struggles of alcoholism and recovery firsthand. Ed is a practitioner, trainer and educator in the fields of hypnotherapy and NLP. 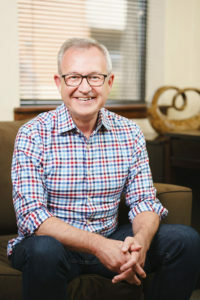 Ed enjoys helping individuals, families and groups achieve growth and fulfillment in their personal and professional lives using a framework of Hypnotherapy and NLP as well as many other supporting therapeutic techniques. Some of Ed’s specialties include smoking cessation, weight management and food issues, as well as reducing today’s unprecedented levels of toxic workplace stress. Prior to his current practice, he enjoyed a long career in public healthcare policy and telehealth advocacy. Ed received his Masters of Public Administration from Virginia Commonwealth University. Webster can often be found greeting clients in our waiting area, or in therapy sessions with clients who’ve requested him. Even though he’s still in training, he’s very well-behaved and knows who needs a hug today and who not to bother. If you’re allergic to dogs, just let us know and we’ll make sure to accommodate you.